This "beef afficanado's dream" features ingredients sourced from purveyors like Dickson's Farmstand Meats and Creekstone Farms. It seems like every part of the carcass is on offer, ranging from tame cuts like short ribs, skirt steak and rib eye to "the best offal I ever had," includes heart, tongue, liver and the scrumptious-sounding fourth stomach. 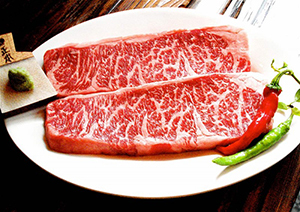 Ordering is only half the fun: You cook the cuts of beef over a personal hibachi and eat them with tasty side dishes like grilled vegetables of the day and bakudan, a mixture of rice and seaweed wrapped in a sesame leaf.